Performance, comfort, and fashion. When it comes to apparel, every athlete in the world has to balance all three. Historically, athletes have been stuck with garments made from synthetic fibers like polyester and nylon. Yes, the resulting fabrics help athletes can improve performance on the field, court, or golf course. The problem? Synthetic fabrics are uncomfortable when compared to those made with natural fibers. Enter the COOL™ system, the latest offering from Buhler + Samil, and an innovation at the forefront of fabric technology. COOL™ is an advanced, high-twist spinning system that works well with a number of fibers – including Modal, MicroModal®, TENCEL®, and Supima® cotton. This state-of-the-art spinning system has the potential to drastically change the state of athletic and athleisure wear. Fabrics spun with the COOL™ system offer an amazingly cool, breathable comfort — derived from natural fibers — along with other unique properties: lower thermal resistance, a lower likelihood of pilling, and a more eco-friendly carbon footprint. Perhaps unsurprisingly, COOL™ fabrics are also the choice of pro golfer Lydia Ko, who wears COOL™ Modal golf shirts made by the McKayson brand. Ko became the youngest No. 1-ranked pro golfer of all time in 2015, and not long after, the youngest woman to win a national championship. At the age of 20, Lydia already has 14 LPGA Tour titles to her name, plus a silver medal from the 2016 Summer Olympics in Rio. It’s safe to say that Lydia knows what she’s doing when it comes to performance. But in the unique world of professional golf — where a specific fashion aesthetic reigns supreme, and conditions are often hot, humid, and even muggy — comfort and style are just as critical. For Lydia, choosing McKayson’s COOL™ Modal apparel was a no-brainer. Using the same fiber as MicroModal® Edelweiss, which is made from European beechwood, these unique garments match the feel of the finest natural fabrics with the dry, cool air penetration of top-performing athletic gear. For a player operating at such a high level, wearing distraction-free, apparel is essential for peak performance—and the unique, cooling comfort of the fabric is the icing on the cake. The comfort level of COOL™ fabrics is far from the only advantage. Based on a proprietary, automated spinning system developed by Samil, the COOL™ system reduces the diameter and hairiness of the yarn, resulting in leaner fibers with much improved air penetration, coolness, and dryness. 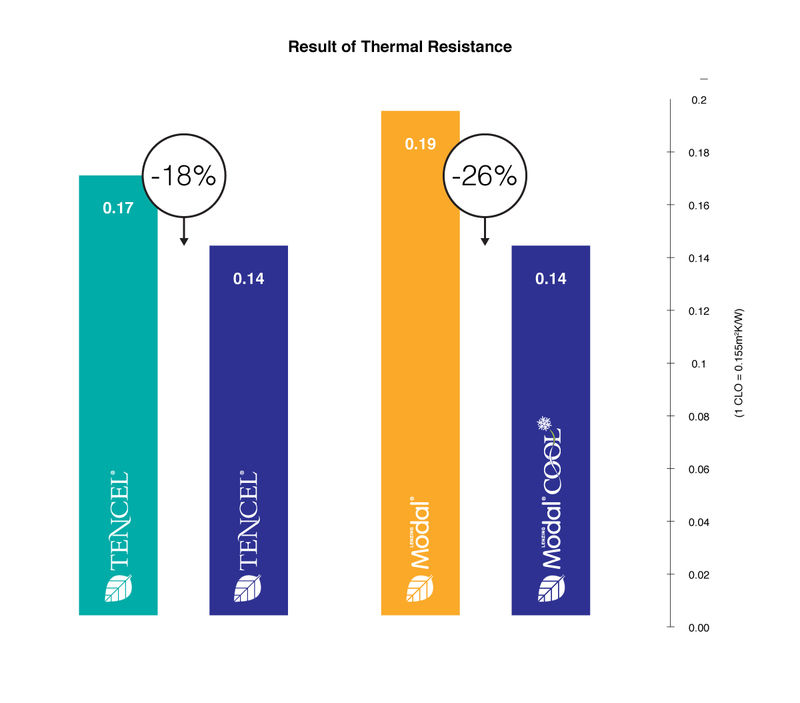 The more compacted yarn is also less resistant to air flow and boasts 26% less thermal resistance (compared to ringspun yarn) – both properties improve performance in virtually any sport. 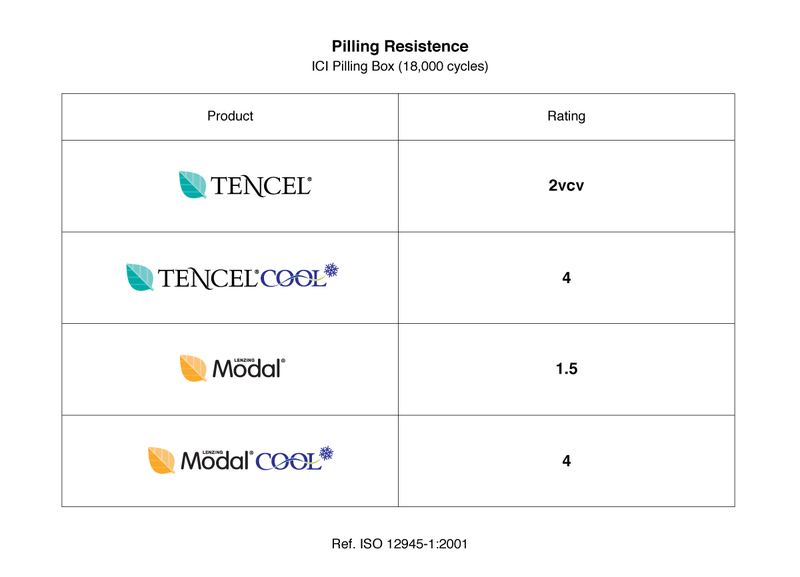 COOL™ Modal fabric is also less likely to suffer from pilling — with an incredible +4.0 pilling resistance rating — and requires less power to manufacture on a per kilogram basis compared to conventional spinning, allowing for more sustainable and eco-friendly production. Of course, these nitty-gritty details aren’t what matters to the athletes themselves. When something feels right, they know. That’s the promise delivered by partners like Buhler Quality Yarns + Samil Spinning, who can help your brand reach new customers and segments with the best yarns and latest advancements available today.